"An all-in-one application to keep your PC fast and safe." 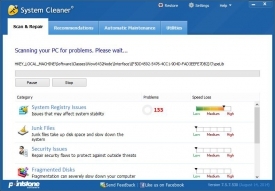 Fix PC errors and boost the speed of your PC to maximum levels with System Cleaner 7. This application fixes very common issues PCs have that slow them down with basically no effort taken by you at all. Right from the application you can see all of the options right from the first window, which makes it incredibly easy to find everything you need to get started. Wondering why your computer is taking a little longer than you would like to start some applications, video games, or perhaps your web browser? Perhaps there are some issues that should be addressed to get that speed back to optimal levels so you can get the speed you were used to when you first bought your PC. Over time, as you install and uninstall programs, and even simply use your PC, your PC will inevitably become slower since Windows doesn't automatically clean up after it's automatic tasks. That's where System Cleaner 7 comes into play. Your System Registry is one of the most important things that Windows uses to refer to applications and files to keep track where they are at or how to simply use certain types of software. Sometimes when you uninstall applications the uninstaller provided doesn't remove these registry entries either because they want to make it easier to reinstall in the future or because it's a poorly programmed uninstaller. However, with System Cleaner 7 you are covered. It will scan to find any registry values that are no longer associated to an installed application or a value that is referring to an incorrect location and remove or fix it. This is done with one click of your mouse. While using the Internet, your web browser stores temporary files (sometimes referred to as junk files) to temporarily store certain data to enable you to use certain resources. Whether it is to make your web experience a little faster or just for resources, over time these files can take a lot of space on your computer if they aren't cleaned occasionally. 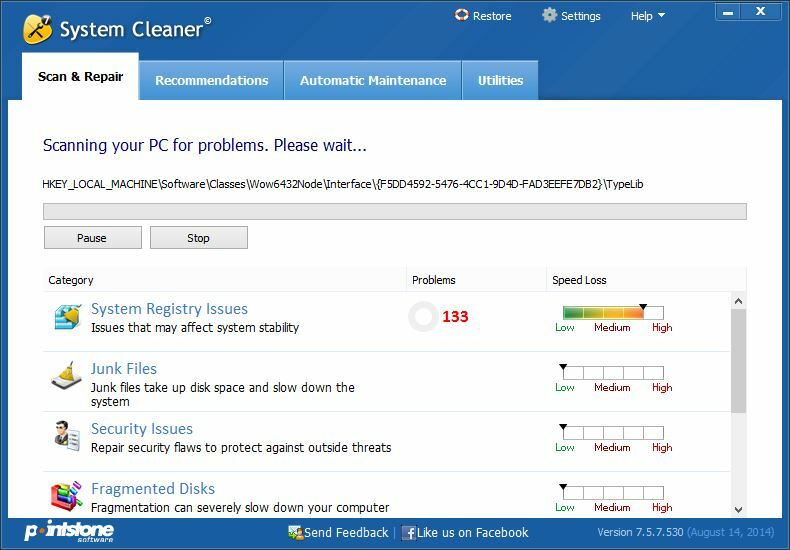 System Cleaner 7 also removes the unnecessary "junk files" which can sometimes free up significant space. If you are seeking for an all in one application to keep your PC fast and safe, System Cleaner 7 is definitely the application for you and is worth giving a try.